2. Put all ingredients listed for meatballs into a large bowl. 6. Place in oven and bake for 20-25 mins. 8. Remove from oven and drain off grease. 9. 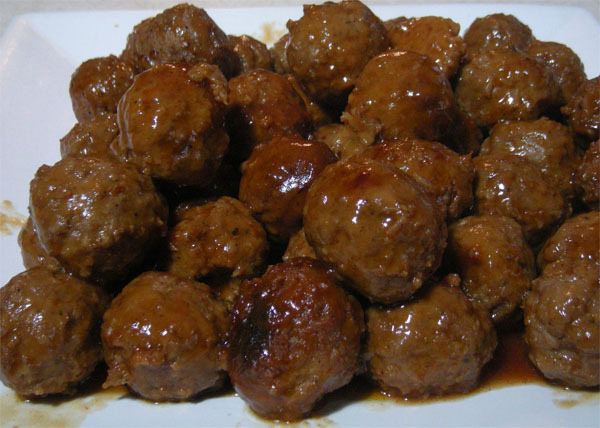 Pour your BBQ sauce over meatballs. 2. Add brown sugar and mix well over low to medium heat. 3. Add Worcester sauce and mix and allow to heat up. 4. When hot, mix (a whisk comes in handy here) in ketchup and then mustard. 5. The sauce will be very thick. If not add more ketchup. 6. Allow the sauce to heat up again and add Short Sugar’s BBQ sauce and mix well. Want to see even more stuff?